Есть вопрос для Baan Lanna Walking Street? Удобно расположенный в Чиангмай, Lanna Guesthouse является прекрасной отправной точкой для изучения этого оживленного города. Отсюда, гости могут всецело ощутить преимущество удачного расположения и близости ко всему, что может предложить оживленный город своим туристам. Благодаря тому, что отель находится в непосредственной близости от таких достопримечательностей, как Сабай Тур Чинг Май, Храм Сигурд, Вар Пхак Хонг, гости отеля будут в восторге от его удобного расположения. Воспользуйтесь богатым выбором услуг и первоклассным сервисом в этом отеле города Чиангмай. Подборка первоклассных услуг, таких как, бесплатный Wi-Fi в номерах, хранение багажа, Wi-Fi на территории, ресторан, экскурсии, которыми вы можете воспользоваться во время вашего пребывания в отеле. Насладитесь высоким качеством услуг, доступных в номере, в том числе вешалка для одежды, зеркало, полотенца, Wi-Fi, Wi-Fi (бесплатный), благодаря которым, вы сможете полностью расслабиться и зарядиться энергией после долгого дня. Помимо широкого выбора услуг для отдыха, предлагаемых в отеле, у вас останется много возможностей развлечься не выходя из отеля. Получите истинное наслаждение от первоклассных услуг и элитного расположения Lanna Guesthouse. Отличное расположение, вид, хороший хозяин. Комнаты на втором этаже имели выход на крышу, оттуда открывался прекрасный вид, хоть и невысоко. Хостел располагается в самом центре Чианг-Мая, на главной улице, которая ночью по выходным превращается в ночной рынок. Комнаты большие и удобные для гестов, есть полочки и прочее (обычно в гестах только кровать и стол). Отличная атмосфера, прекрасный хозяин (впрочем как и везде в Тае). 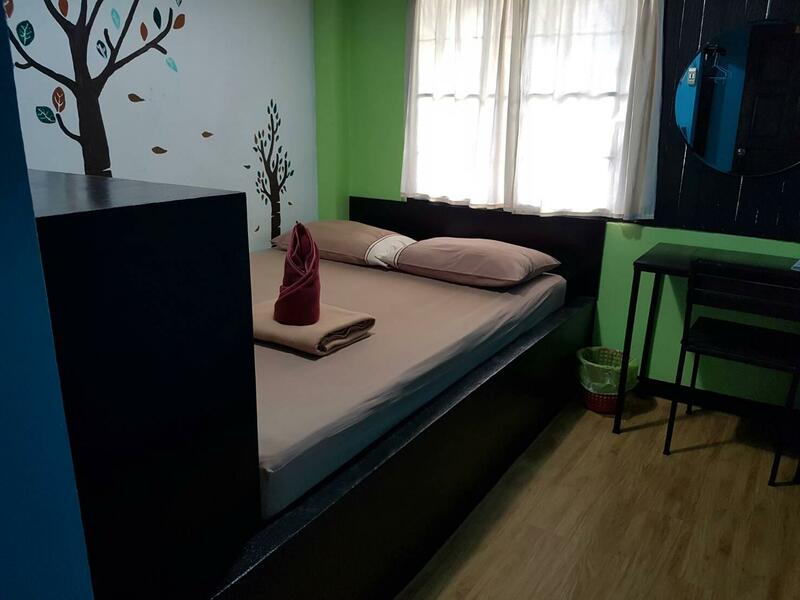 If you’re searching for a cheap and basic place to sleep Baan lanna walking street is the right place. Located at the end of the main walking street you find yourself close to the main action with some cafes, restaurants and scooter rentals within 5-10 min walking distance. 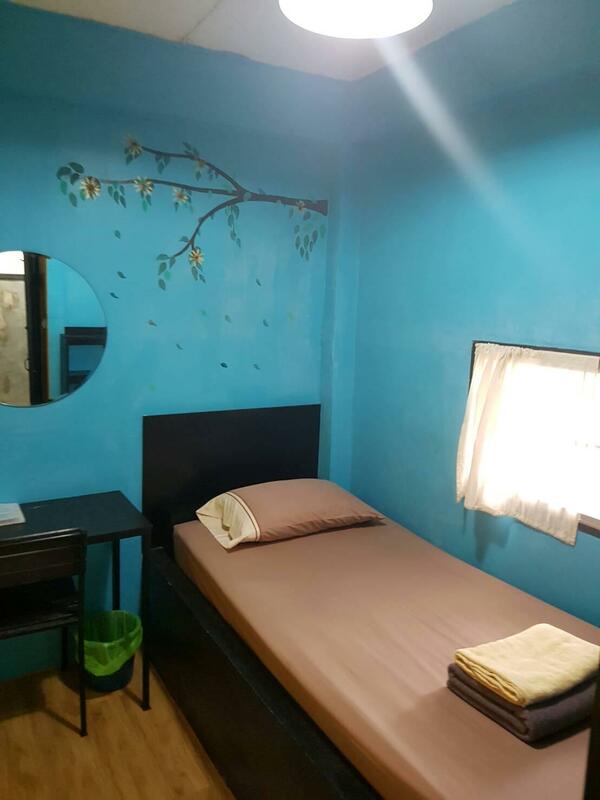 We booked a double bed with fan room and were surprised that instead of windows there were only big recesses covered with mosquito nets in the very thin walls. The mosquitos, however, must have found their way through the nets ... just like the snoring sounds of a guy 4 rooms down the hallway. Not the best place to tell someone your secrets, but overall a good bang for your buck. The staff barely speaks English but let us place our two big backpacks in a storage room, while we rented a scooter to go to Pai for a night. Go to Tawan bike for renting a scooter and not to the rental next door suggested by the staff. The prices are almost the same (200THB compared 250THB), but the scooters you get at Tawan bikes are a lot stronger (125cc and higher), plus they are very friendly and cooperative. Right on the Sunday Walking Street (night market). Near to Wat Phra Singh, 7-Eleven. Easy to rent motorcycle from next door shop. The room was not that bad. Not that great either. Just good good. It suit the price. Chiang Mai old city is not that big, so it's very easy to just walk from this hotel. The receptionist was kind enough to let me check-in early. There is a deposit for hotel key (remember to get it back before you check-out). At night, there is loud noise from a pub nearby. But it didn't bother me much. Overall, it's a good stay. 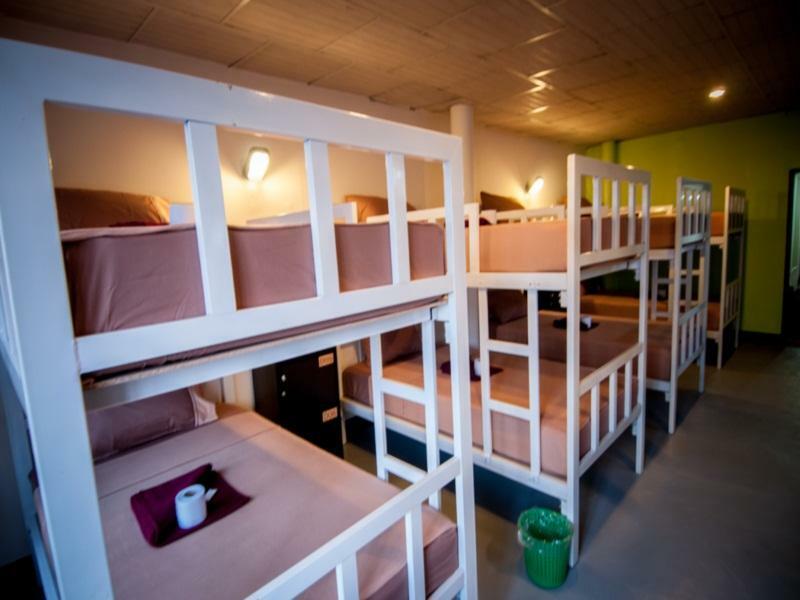 Great Value hostel, one of the best. Clean room, nice lobby, fast wifi (up to 120mbps on 5g) dorms are kept nice and clean, some issue with the toilet constantly running, but mai pen lai :P really enjoying my stay here, I would recommend to a friend. This place is overpriced for what you get. Hardest pilllows, for some reason the pillows are covered with thick leather, making them hard as a rock! The blankets they give you are paper thin. I felt like some kind of convict, forced to use the cheapest possible materials. The staff was average. Location was great but you can find a better value for your money. 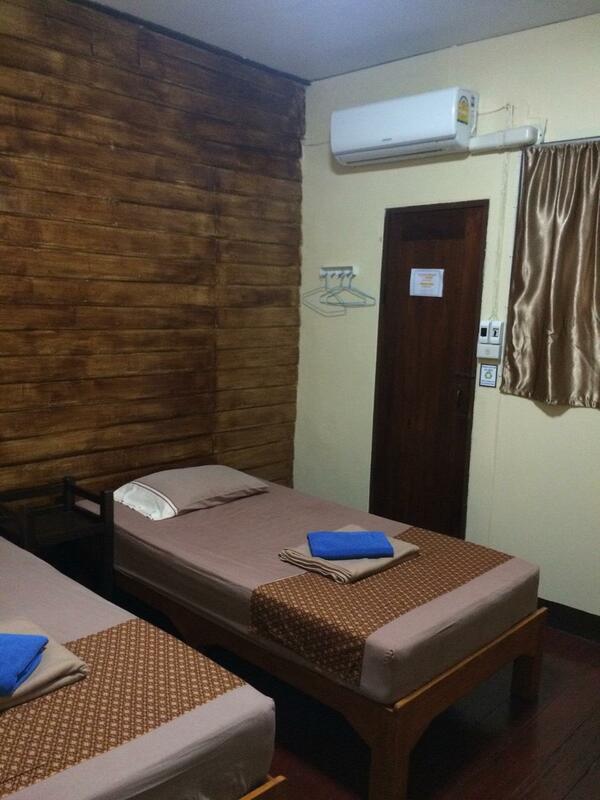 The staff was friendly and the bed was comfortable but the toilet and bathroom was dirty. Also the shower didn't lock so you just had to shower with the door open and hope no one would walk in. Wouldn't reccomend for longer then one night. Baan Lanna Walking Street is greatly located in the Old City of Chiang Mai. I stayed there for 9 nights as I was following some classes within the city. I can't complain about the price. I mean 280 baths per night for a single room with a private bathroom is a great deal. However, I haven't been amazed by the cleanliness. The room had a little moisty smell and the bathroom was a bit filthy. The water for the shower had a weird smell as well. AND I HAD BED BUGS ON MY BED!!!! While bed bugs can be found everywhere from filthy to the cleanest place, it is always very annoying to get a skin rash while traveling. I changed to another room, but none of the staff even asked if everything was fine after this little accident. More concerned from the staff would have been appreciated. All in all, the location is good; inside the old city and close by a good range of restaurants, temples, shops, and markets. Staff far from helpful nor courteous. You can park your motorbike inside (literally) by the small terrasse which was always full of chain-smoking (and shower hating) guests and their trash (left behind). Each room has two windows: one opens to the hallway (Hello neighbours!) and the other in-between buildings with air conditioning motor sounds. - The bathroom floor is not clean. - Tap water has smell - The fan is not very thorough. I just wanted to stay one more night and without problem I could extend. stuff always great and smile. the owner and workers are good and helpful, I had motorbike accident and of the staff bought me to hospital in my motorbike. I like the free wifi and the areas I could sit and use my laptop such as the balcony in the dorm or the sits in the on the ground floor.